Looking for private in-home or in-studio Trumpet lessons? Our Brentwood teachers are ready to get you started. Find your teacher today! I have gladly devoted the past 20 years of my life to understanding this wonderful instrument. My goal is to provide insight along your musical path. Brass instruments are challenging, so I help build a structured daily trumpet routine, one that grows as you develop. In addition to preparing for performances and auditions, I encourage spending time on your favorite songs, and enjoy learning with them with you (often by transcribing the material). I provide music, accessories (tuner, metronome, portable speakers), and books. I can bring an extra trumpet for beginners. Trumpet- Caruso Method, breathing exercises, and other mechanics depending on student level. Improvisation- Theory, ear training, free play, jazz standards. I am a patient teacher who carefully works with each student to help him or her achieve his or her individual goals, whether the objective is to become a professional musician or to learn for fun and personal enjoyment. ning ongoing North American engagements with new collaborations with leading Baroque ensembles in Denmark as well as in the rest of Scandinavia and Europe. In Europe he has played with Camerata Øresund, Copenhagen Soloists, Barokksolistene, Arte dei Suonatori, Höör Barock, Enghave Barok, the Næstved Early Music Festival, Ensemble Hven, and several others. With over 20 years of playing experience, I am ready to help you get better whether you just bought a trumpet or are studying music in college. Hello everyone! Please have a look around my profile and feel free to contact me. I have taught privately since 2009 and joined takelessons.com in 2014. I strongly feel each student needs lesson goals tailored to what he or she wants to take away from music. 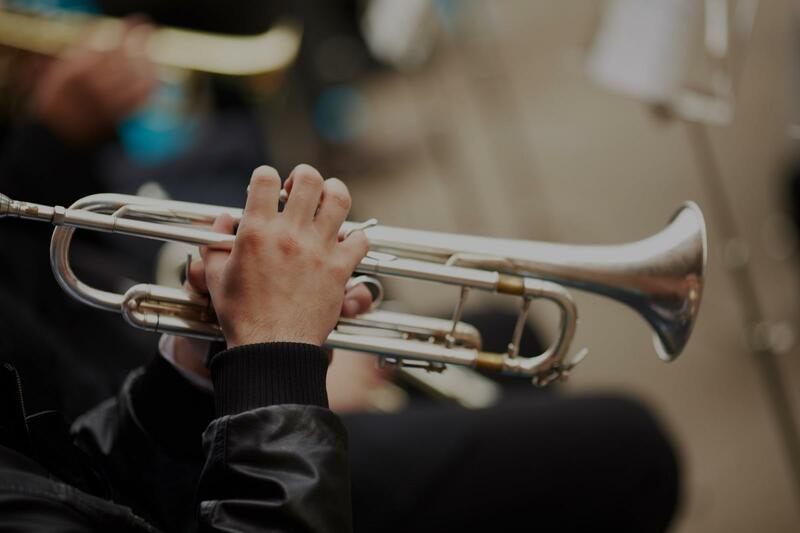 Getting ready for a college performance degree, making it to state solo contest, surviving band music, or simply discovering the huge scope of music available to us these days are each worthy goals, but require different preparation. I will work with you to figure out where your interests lie and focus on those, first and foremost! ct, as well as freelance throughout Michiana. Thanks for your time, and happy practicing! I have spent most of my playing time on classical (orchestral, chamber, and solo music), but also welcome students interested in jazz up to an intermediate level, especially if they have an interest in playing lead trumpet. My first lesson with James was outstanding. He's very easy to work with and articulates in easy to understand terminology that gets results ! You always know you've picked the right instructor, when you're looking forward to the next lesson. Everyone is unique (physically, mentally), and we all will play the trumpet our own way and for different reasons. Whether you want to learn how to build endurance, craft a beautiful tone, improvise or interpret classical works, you've come to the right place. I will cater what we work on to YOUR individual curiosity, interests, personal goals, and to how you naturally play the the trumpet. I will help you to discover your own voice on the trumpet, and at the same time make sure you develop great technique and musical ability. You will learn to control what and how you play, and grow as a musician! I recently retired, after 37 years of teaching beginners through high school age students. In addition, I have remained active my entire life as a Trumpet player, performing in orchestras, concert bands, jazz ensembles, brass ensembles and as a soloist throughout the Twin Cities area. Many of my students (hundreds!) have auditioned and qualified for All-State Bands, honor bands, college scholarships, etc. My goals as a teacher: help the student learn to love making music on the Trumpet, help them increase their Trumpet skills significantly and help them grow as a happy person exploring the fun and exciting world of music!